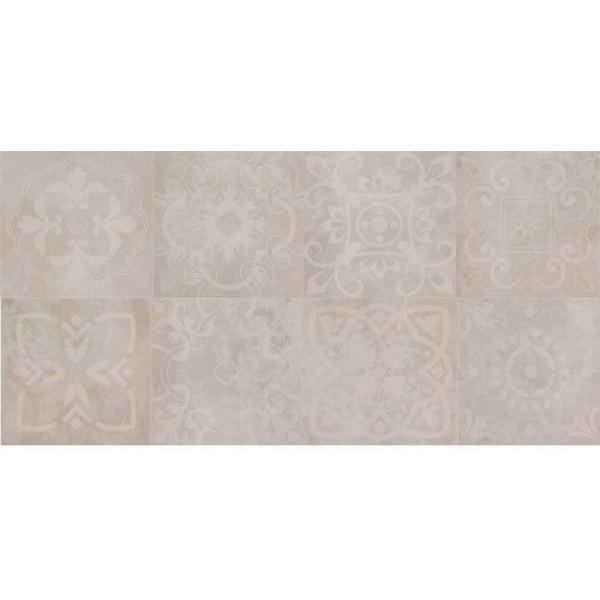 Manzano Pearl Paving Slab 600x300 Mosaic Create a polished designer look. Manzano incorporates a distinctive and varied colour blend to create the ultra contemporary appearance of polished concrete. Being porcelain, you can expect exceptional strength and durability with no colour fading. Available in a choice of sizes and four shades, featuring at least 12 mosaic designs mixed at random throughout the range to offer even greater design flexibility. Manzano mosaic flags are randomly designed and supplied in mixed packs to complement the plain flags.